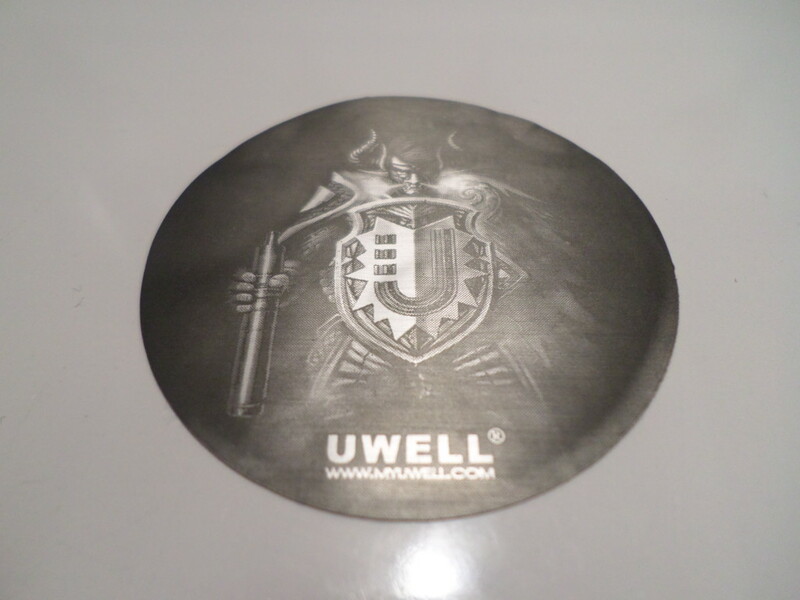 UWELL Crown 2 Review: Return of The KING! UWELL blasted onto the scene with its Crown sub-ohm tank and left the majority of the competition in its wake. Now, UWELL is back with a sequel – the UWELL Crown 2 and it is looking to regain that lucrative number one spot with vapers all over the world. But is it any good? 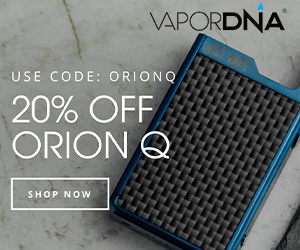 Does it fit the UWELL Crown’s shoes adequately? What’s new inside this tank? 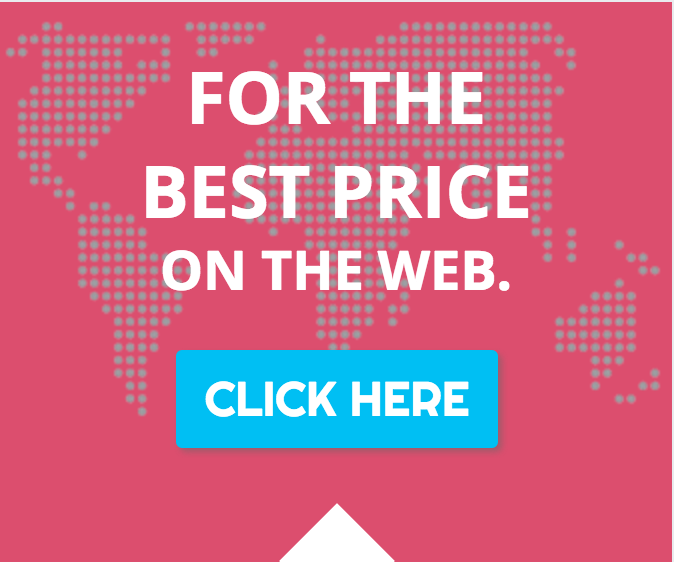 And, most importantly, is it worth your hard-earned dollars? 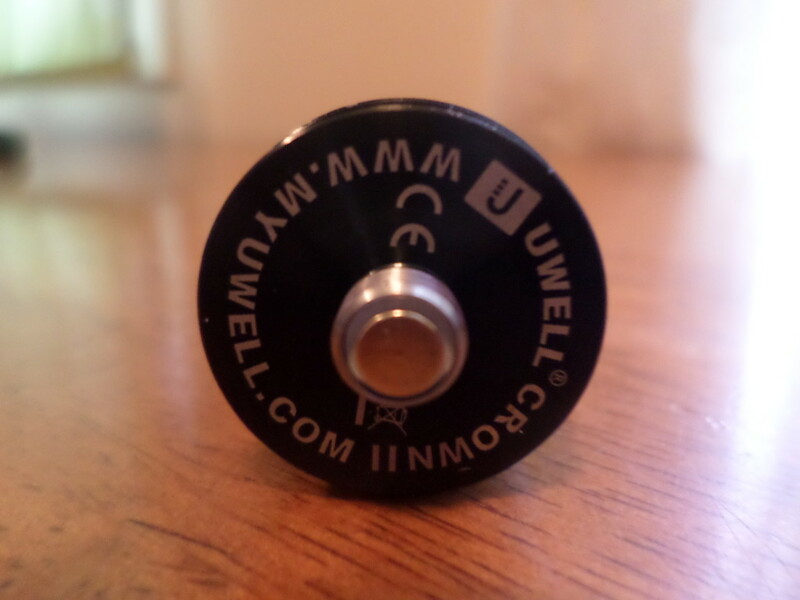 I will answer all of these questions in what follows, as I take a detailed look at the UWELL Crown 2. Like the UWELL Rafale tank the Crown 2 comes in a metal cylinder tube that is wrapped in a white shipping foam-like material to help protect the case. This is a great bit of kit as you can use it after for storage. It’s also mighty tough as well, so everything inside is completely protected. Having UWELL Crown II printed in yellow on an all black tube is actually a good colour combo, as it looks ultra premium – just as you’d expect from UWELL. 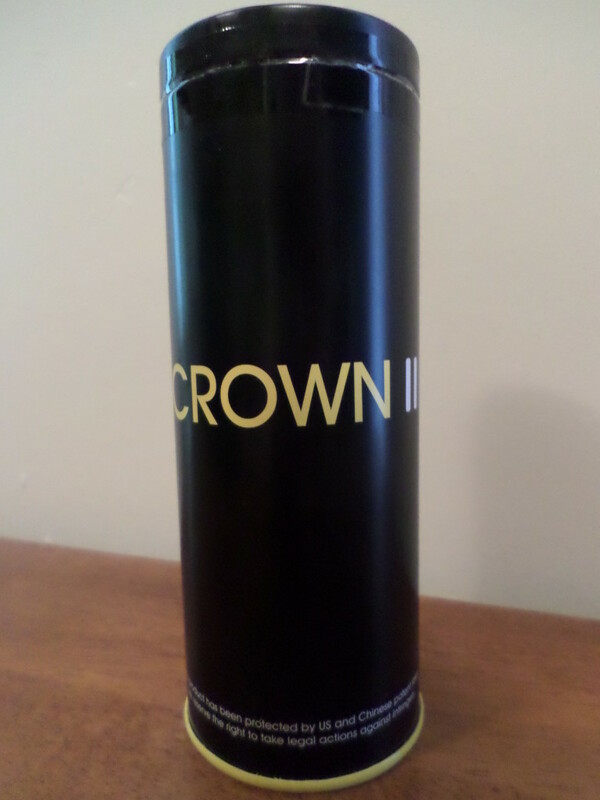 Upon opening the Crown 2 case you are presented with a really cool sticker. Under the sticker is where your goodies are. You will see a bubble wrapped Crown 2 with a spare glass tank and an extra coil (0.5ohm). The preinstalled coil is a 0.25ohm coil. 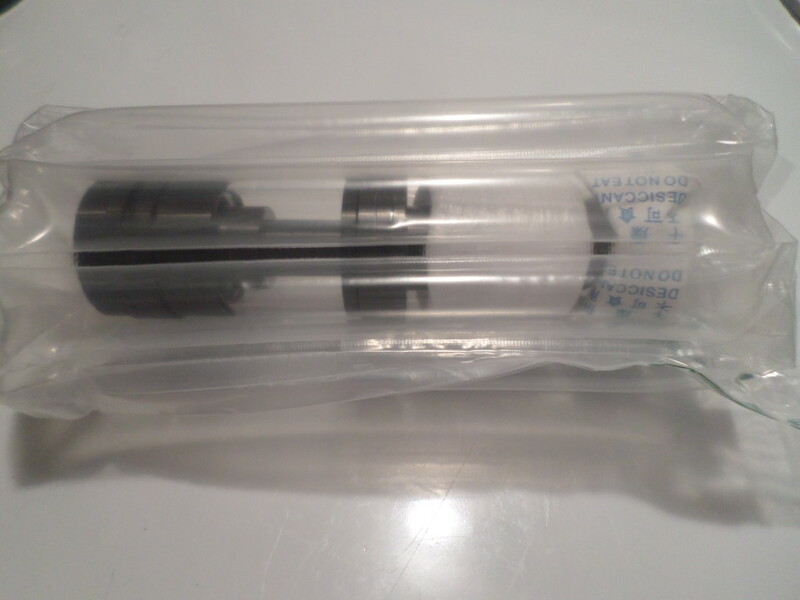 You also get a bag of seals which is really nice and a leaflet about your Crown 2 and how it works. The UWELL Crown 2 looks similar to UWELL’s Rafale tank but there are a few subtle changes to the texture of the materials used as well as some new features with respect to functionality. The Crown 2 actually has a more streamlined look and feel. The airflow slots are cyclops-style and actually provide adequate airflow. The removable drip tip on the Crown 2 allows for your favourite drip tip to be easily installed. 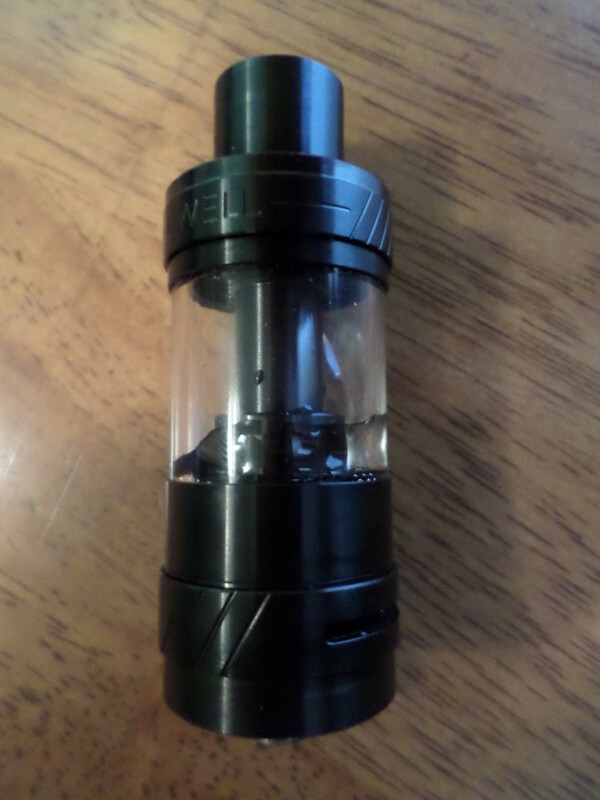 Remember the Crown v1 had a weird bowl like design for the drip tip? Well, the Crown 2 does away with that – two turns and it’s off, but once set it holds snuggly in place. The juice slots are a bit bigger than the original Crown’s too and that’s a BIG plus, a sit makes refilling a lot easier. Everything fits together really nicely on the Crown 2. I honestly cannot fault its overall design and finish. Let’s talk a little on the Crown 2 coils. Looking similar in design to the Crown v1 coils, the Crown 2 coils do have some differences. First noticeable difference is the cone shape at the bottom of the Crown 2 coils. 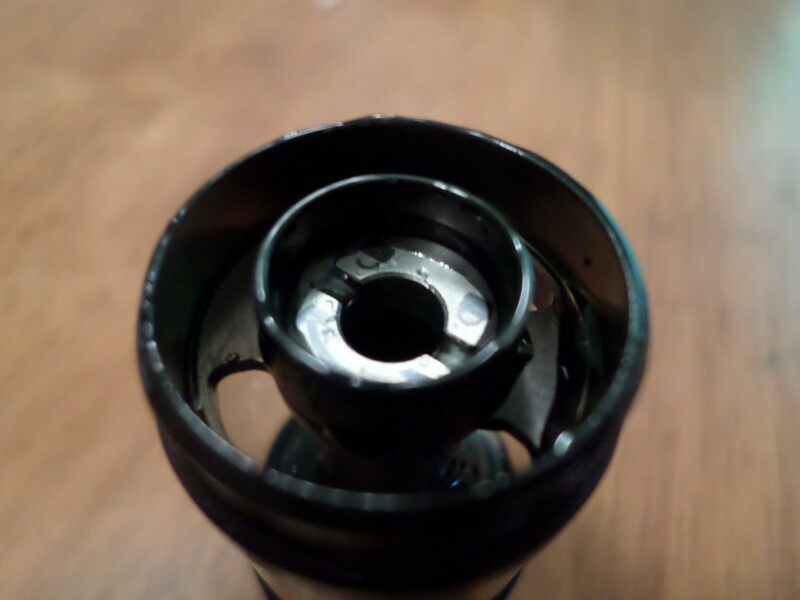 The wicking holes are also much bigger this time around as well, meaning faster wicking and better flavour. Now, on to the top of the coil. A very weird design can be found up top. 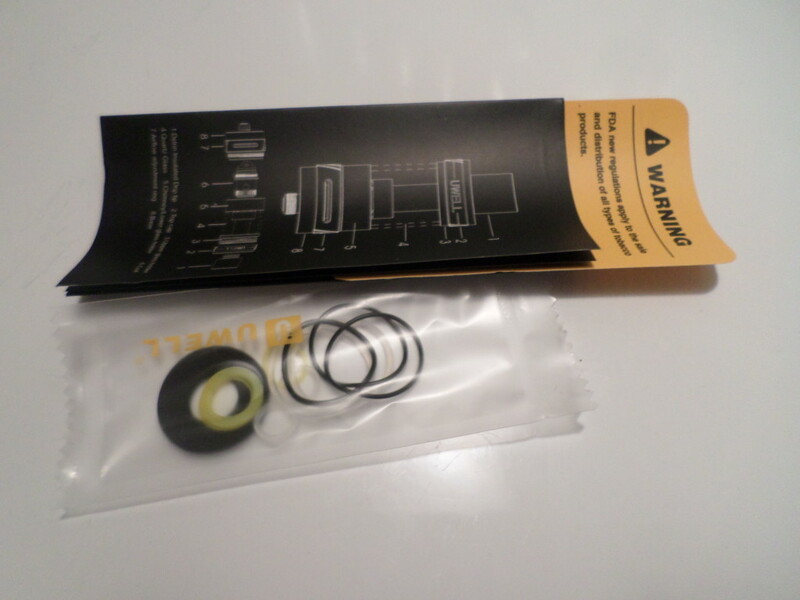 There is a metal plate that covers the cotton portion of the coil at the top leaving the center open. And the reason it is there is simple: it stops spit-back. Again, a nice feature and another plus for the UWELL Crown 2. I started by first cleaning the Crown 2 and then I primed the 0.25ohm coil, filled the Crown 2 and waited 3mins. With a coil rating of 60-100W on the .25ohm coil I started off at 50W and I did get some vape but not too much. Moving to 60W yielded much better results. 70W gave a solid performance as far as flavour and clouds go. A sweet spot for me on the Crown 2 coil is 85W. The Crown 2 coil can take a beating. I chain vaped the 0.25ohm coil at 95W and after 5 draws I did notice any dryness whatsoever. I did manage to take the .25ohm Crown 2 coil up to 120W. At 115W you have to give the coil a chance to wick. Not a bad coil at all. The Crown 2 coils wick very nicely, just like the Herakles coils. UWELL has done these coils correctly. The Crown 2 never hot hit but it did get warm. 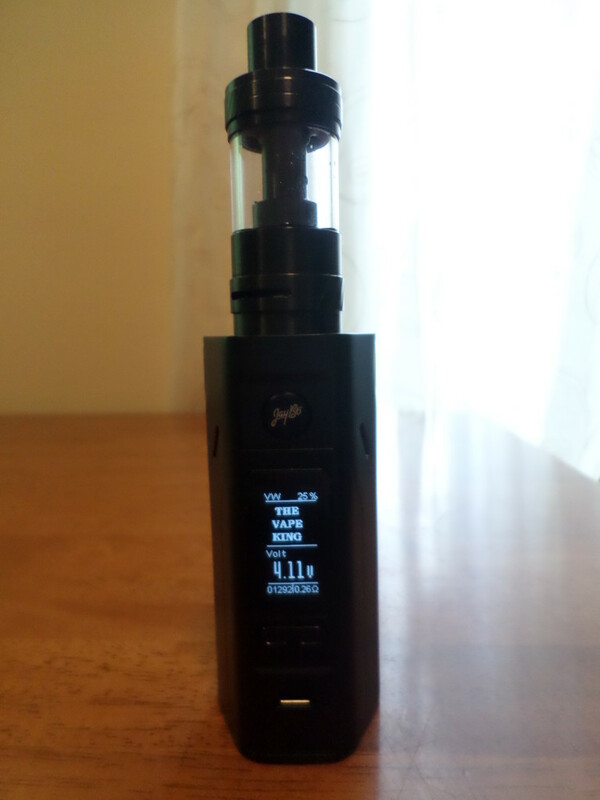 The lightweight feel of the Crown 2 gives the impression of a cheap tank but I assure you this tank is ready for war. I think UWELL has finally ousted Herakles from the throne in the sub-ohm tank realm. Having excellent flavour and clouds galore have made the UWELL Crown 2 one of may favourite tanks of 2016 – easily. Everything has been improved with the UWELL Crown 2. The design is better and easily to use. 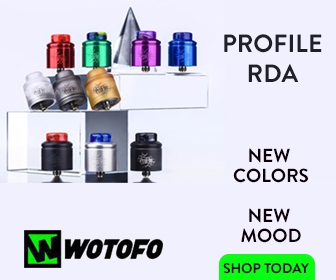 The coils are vastly superior and the overall performance is exceptional. I know there have been a few negative reviews of this tank, but I am at a lose to see where these complaints can be levelled. The UWELL Crown 2 surpassed all my expectations and then some. Everything from the packaging to the cloud production is top-notch. Do not believe the haters, this is a solid, high-performance sub-ohm tank that can 100% be considered the successor to the mighty UWELL Crown.